Be aware of the [TRAIN stunt goes wrong] BOY comes under train, YOU can’t watch more than 10 seconds Facebook scam which is currently active on Facebook. 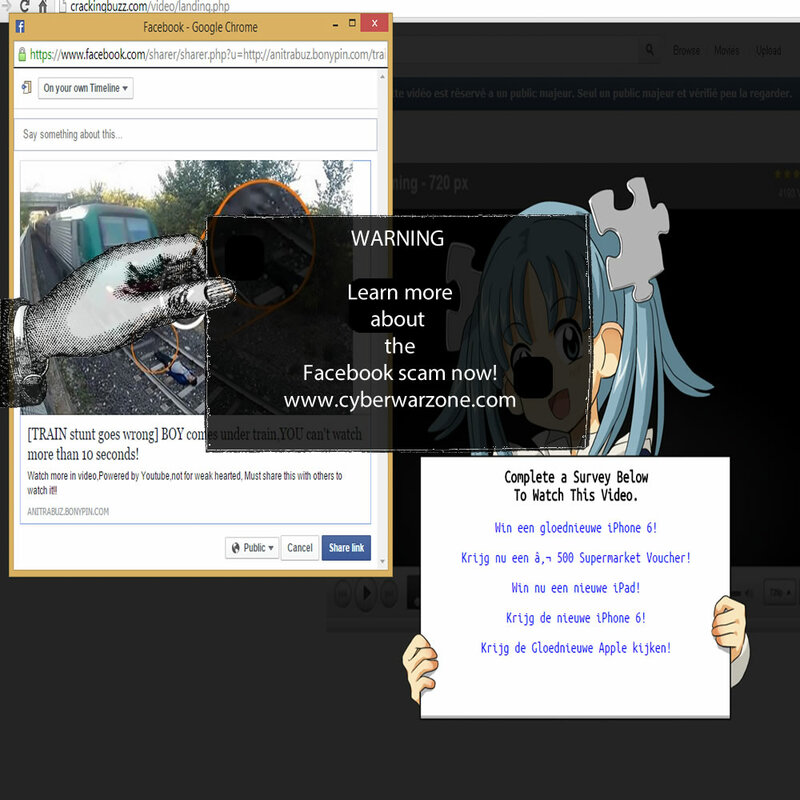 The scammers behind the [TRAIN stunt goes wrong] BOY comes under train, YOU can’t watch more than 10 seconds Facebook scam are hosting the scam on the anitrabuz.bonypin.com domain. This domain is being used by the scammers to lure unaware users to their scam. The [TRAIN stunt goes wrong] BOY comes under train, YOU can’t watch more than 10 seconds Facebook scam lures unaware users to the malicious website by claiming that it holds a shocking video of a boy which was performing a train stunt. The train stunt is claimed to go wrong and they claim the unaware users will be able to watch the [TRAIN stunt goes wrong] BOY comes under train, YOU can’t watch more than 10 seconds video once they perform a couple of steps. The victim will be forced the share the malicious page to their Facebook timeline. Once the malicious page has been shared to the Facebook timeline, the user will be navigated to another website which will try to serve surveys, applications and advertisements. Watch more in video, Powered by Youtube, not for weak hearted, Must share this with others to watch it!! The scammers are using the Youtube layout to lure unaware users. The scammers earn money via the surveys and malicious applications. They often are farming clicks and shares to boost a specific website SEO ranking.